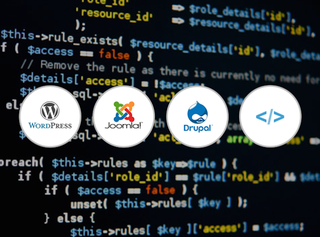 The web is made from PHP and HTML, styled with CSS, and running on Joomla or WordPress, so knowing how to use these web standards is a genuine life skill. OSTraining provides comprehensive coverage, and for a little while Gizmodo readers can get 96% off lifetime access. Yes, it requires some effort, but whether you own a website or just want to improve your CV, knowing some web development is going to help. In addition to hundreds of tutorial videos, there are also new 400-page ebooks added every month, and each course comes with a certificate of completion. It's good quality stuff, too — Apple, IBM, World Bank and The White House all use these tutorials. Purchase gives you instant access. Check out the link for more.